We briefly look at the history of Dudeism and identify two orignal dudes, one Eastern and one Western: Lao Tzu and Heraclitus. 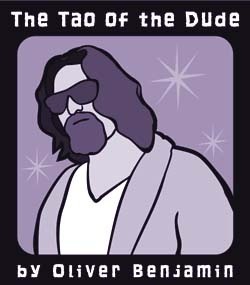 We discuss how Dudeism took root in America, and look at one of its lesser-known proponents: David Grayson (a.k.a. Ray Stannard Baker). We take a look at the front line of globo-international Dudeist evangelism: backpacking travelers, and the easygoing, supranational culture they’ve helped create. Hey, a very old-school suggestion for a Great Dude of history – THADDEUS GOLAS. The author of the “Lazy Man’s Guide to Enlightenment,” back in the day (1972). Cool recommendation, Druidia. Thanks! I somehow never heard of Thaddeus or the book. Or maybe it’s a matter of the teacher appearing when the student is ready? Could very well be the case. Anywho, it’s a short and simple book with some mind-blowing concepts. And it was Thaddeus’ one and only book…he was too lazy to write another, but of course! BTW: Here’s a good site with Golas’ pamphlet version on it. The book’s hard to come by, apparently, but I found used copies on Amazon. I hope everybody can get the BBC i-player as there is a programme on right now (16 December)on BBC radio 4 (Melvyn Bragg – In Our Time) and this week they are discussing daoism and it’s roots in China and how it existed in relation to Confucianism. You can download the podcast and put it on your i-player between ‘Great Bowling Moments’ and ‘Whale Songs for beginners’.